While the effort – initially explained as an attempt to curb "black money" – has been a failure in many respects, it was part of an ongoing and global push toward cashlessness. India's working poor rely almost exclusively on cash, with about 97 percent of all transactions involving an exchange of rupees. With 93 percent of the country working in informal off-the-books jobs, most transactions entail personalized relationships rather than standardized forms of legal contract or corporate institutions. My own research on the persistence of Delhi's informal recycling economy shows just how important cash is to low-income laborers. 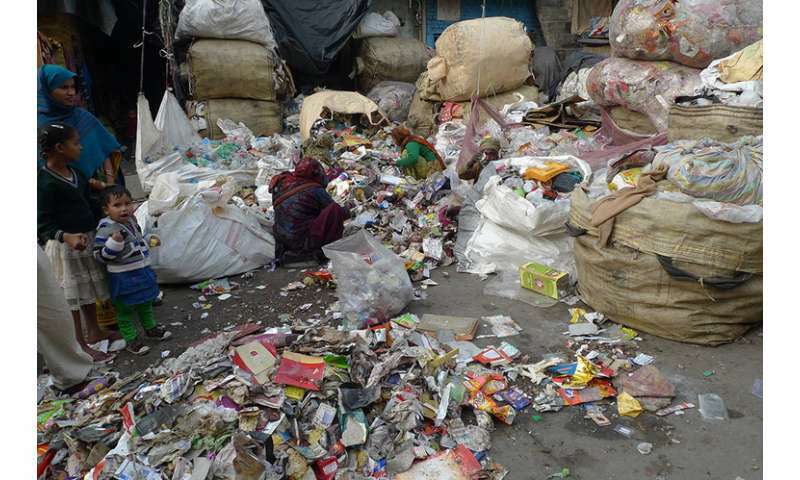 Beyond collecting trash, these workers also constitute the city's only recycling service by separating out and selling plastics, papers, metal and other valuable scrap – including human hair sold for wigs and stale bread used for cow feed. The money they earn from selling these materials is how they support their families. Once it's sorted into sacks, collectors hoist them onto scales, while buyers jot down the weights and multiply them by the going rate to arrive at the price tag. But, collectors usually aren't paid the total amounts on the spot. 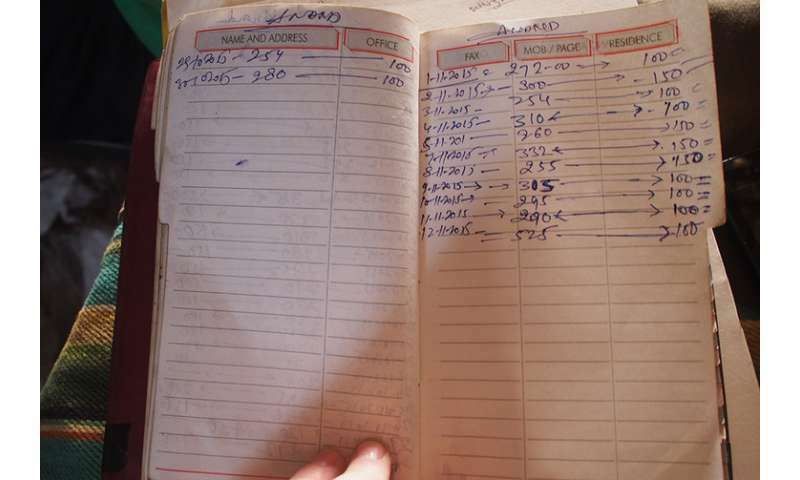 Instead, small payments are made for daily expenses, and the rest is noted down as a deposit against the regular advances given to collectors. This infuses the cash with extra meaning and also requires durable relationships and negotiations to function. Physical currency's flexibility makes it amenable to negotiation in both timing and amount – a feature that requires more personalized relationships. So what happens when 86 percent of a nation's currency suddenly disappears? When I returned in December 2016, a month after Indian Prime Minister Narendra Modi announced that all 500 and 1,000 rupee bills would cease to be legal tender, a scrap collector I knew relayed his experience. Just three hours before Modi's Nov. 8 announcement, Pintu had boarded a train for a 24-hour journey to his village near Calcutta. With him were 11 1,000 rupee notes that his buyer gave him as an advance just before he left. Just as he got on the train, the notes were declared worthless, and he barely managed to buy a single meal for his family along the way. More importantly, it was very difficult for people like Pintu and even the scrap buyers to get the new 500 and 2,000 rupee bills issued to replace the eliminated notes. The chain had been damaged: With cash in short supply everywhere, scrap buyers couldn't pay the collectors, who in turn had more trouble supporting their families. Seeing how people were struggling, a buyer rhetorically asked: "Why didn't the government do more to make sure that poor people would have money?" While middle-class Indians were able to exchange their currency in banks, the unbanked poor often had to rely on informal lenders who would only exchange the old bills for new ones at predatory rates. Without savings, and with high rates of illiteracy, these laborers have little chance of joining Modi's dream of a cashless, digital economy. The United Nations is leading an effort by more than 50 financial companies, foundations and governments, including India, to accelerate the transition from cash to digital payments specifically to "reduce poverty and drive inclusive growth." There's some truth to this, and while cash exchanges can facilitate mutual care and responsibility, the downside to the patron relationship I described above is that cash can facilitate exploitative or predatory practices because of how much control moneylenders and bosses have over laborers. So it may be wise to gradually move some forms of exchange to digital transactions. But, if such a future exists, it is still a long way off, at least in India. According to a 2014 study, just 10 percent of Indians over 15 had ever made a digital payment. And in countries where a large share of transactions are already done digitally, there's evidence that this does not serve the poor well. Long bank queues in India? There's an app for that! A digital cashless system must be made absolutely thief-proof against hackers of all kinds. This requirement has not yet been met and the means for achieving it are not in sight. I suggest that untill it can be put in place, that the use of coins and note be continued. You can't make any technology 100% hack proof - since you never know what tools will become available a day after you have implemented it (or further in the future). You can only ever do a risk assessment and go for a 'reasonably safe' approach - preferrably one where even the foreseeable hacks can cause only limited damage. This is basically how stuff like credit cards work. They know there is going to be some fraud. But as long as that is way below the profit margin it is acceptable to pay damages instead of moving to a more secure (but more costly) system. The thing with global technologies like credit (and also with very concentraded stuff like dams or nuclear powerplants, etc.) is: What happens in the worst case? Can the damage mitigated? Are there fallback strategies? If not then we shouldn't rely on them too much. I, for one, will continue to use cash wherever and whenever possible. Just because I don't like the way my purchase data can be abused.